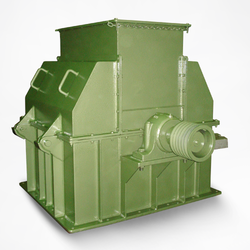 We are manufacturers of premium crushers that have easy operation, need no maintenance and have high output. 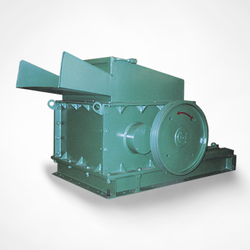 A crusher is an economical unit that is specially engineered for saving operation time. 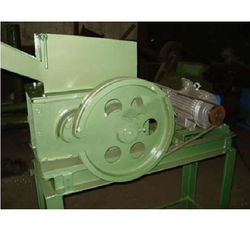 We offer two types of crushers that are needed for varied requirements. We are manifacture crushers as per your need and material. The pre-crusher that we offer are ruggedly constructed and are highly sturdy. These are made of fine quality steel and are free from rust, corrosion, and abrasion. These come with feed hopper, set of shaft assembly and pulley. The frame consists of two side plates of rolled steel, plus hollow castings at front frame end and moving jaw which give a high rigidity/weight ratio. Large-radius transition areas reduce stress concentrations and welds are positioned in low-stress areas. The advantage of a welded frame is that it is equally strong in all directions and ensures excellent durability against shock-loads. Thus minimizing the risk of failure on the main-frame. 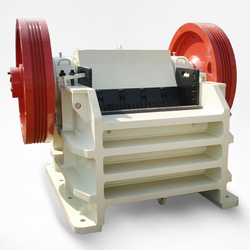 Yagnam Pulverizer offers complete jaw and cone crusher systems designed specifically to meet your crushing needs. Coconut Shell Crusher system offered is backed by latest technology support and helps in providing maximum process efficiency in crushing & size reduction of coconut shells. Available at competitive prices, these pulverizing equipment provide for crushing shells in powder form that further find use as filler material in production of Bakelite and synthetic resin glues. The system can crush the shells to different mesh sizes as well as also provides for necessary value addition for shells that are otherwise discarded as waste. Some of the end uses of processed shells include as filler & extender, use in surface finishing liquid products, use in heavy duty hand cleaner pastes, use as mild abrasive in shot blasting and others.